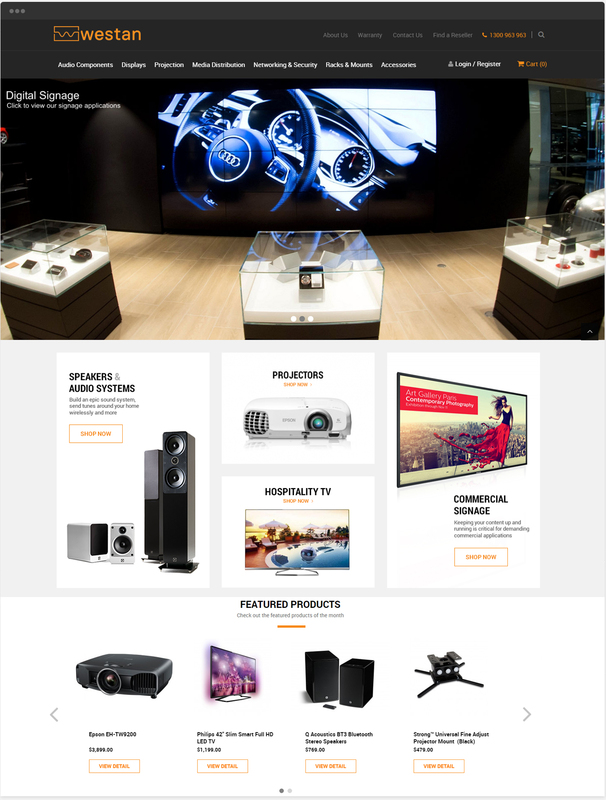 23 Digital delivered a responsive website with a multi-warehouse solution and NetSuite integration, allowing for easy product management. 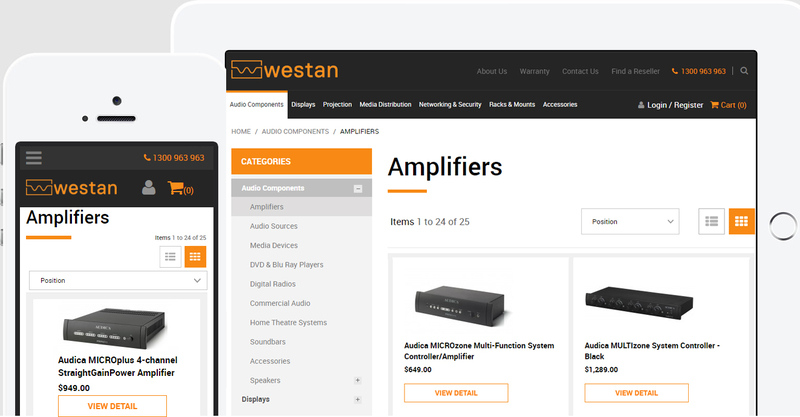 Westan Australia is a dedicated audio-visual and technology distributor for a number of international brands, including Samsung, Philips, Toshiba and many others. Established in 1990, the company has sales and warehousing offices in various locations across Australia, with an aim to provide national coverage with local support. 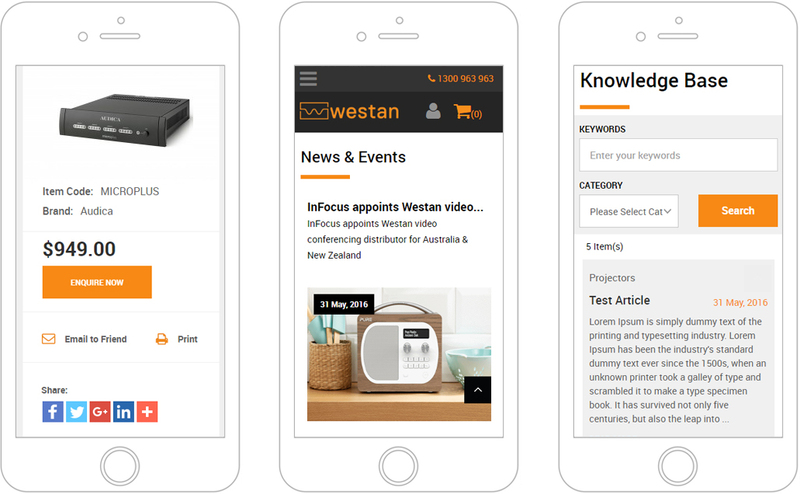 Westan Australia’s original website wasn’t responsive, resulting in the company missing out on traffic from mobile devices. 23 Digital provided a responsive website that improved the user experience across all platforms. The new website also features NetSuite integration, allowing for quick and easy management of all products. Through providing a multi-warehouse solution with warehouse inventory control, we were also able to help Westan Australia simplify their shipping and ordering processes.